The Outback Steakhouse Outback Steakhouse Mac-A-Roo is a macaroni and cheese recipe many people have requested in the past. The recipe is only on the children’s menu, but why should children have all of the fun? I hate to say it, but when I order takeout, I will add in an order of their macaroni and cheese so I can have some at home. If you need to reheat this later, the macaroni and cheese can be made creamy again by adding more heavy cream. Honestly, you can use milk for this recipe, but the results are much creamier when you use heavy cream. I have also made this with half and half and whole milk with good results. This recipe is very simple to make. 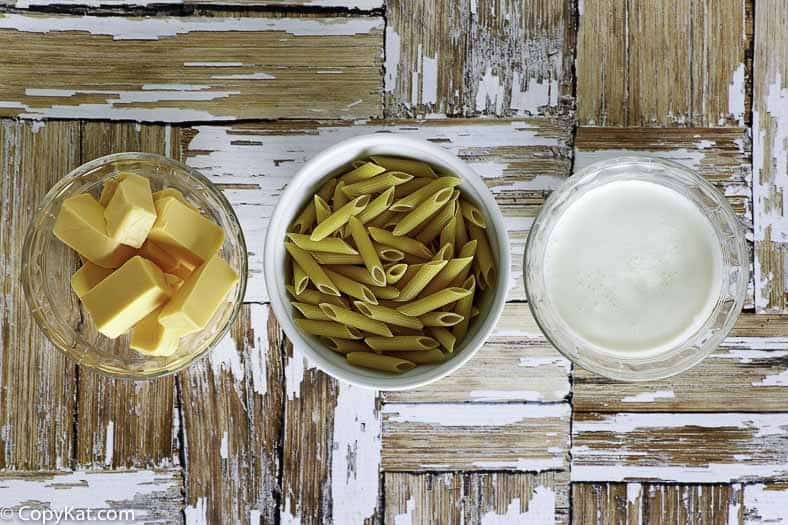 You basically need to cook pasta and add Velveeta cheese and heavy cream. Really, that is all there is to this recipe. Do you have any interesting stories or experiences of you ordering off the children’s menu? In addition to ordering this via takeout, I have also been guilty of ordering the peanut butter and jelly kids’ combo at Panera Bread. I never keep bread in my house, because I don’t eat a whole loaf before it goes stale, so for me, a freshly made peanut butter and jelly sandwich is a treat. What are your guilty pleasures from a children’s menu? Do you love the Outback Steakhouse? Be sure to check out these copycat Outback Steakhoue recipes that taste just like they do at the Outback Steakhouse. You don't have to be embarrassed to order off the kids menu anymore, you can make your own copycat recipe for Copycat Outback Steakhouse Mac A Roo. Cook pasta according to package directions. Cube Velveeta in small pieces, so it can melt easily. In a small saucepan, combined cubed Velveeta cheese and heavy cream. Turn the heat on low and stir until all cheese is melted. 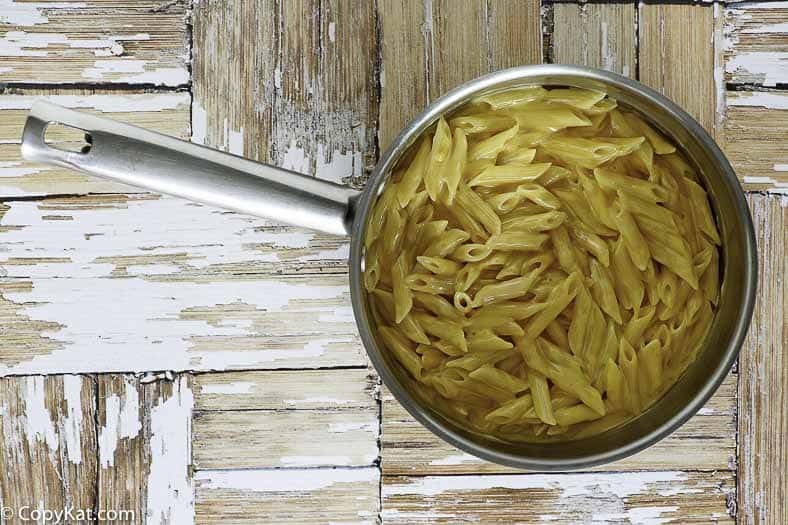 Reduce the heat to simmer until you are ready to combine with the pasta. Once pasta is done, pour back into the pot where it was cooked; add sauce and mix well. well i ate at the outback on 71st in tulsa for 14 years. saw the prices go up and the portions go down. i also had seniority over the manager. funny though, they called this “kidsmac”. I worked at outback for 13 years, and my husband was the kitchen manger. This is exactly how they made it. Nothing spicy, etc! So delicious and simple to make! Kids kept asking for more and more. We loved it! Just made it for Thanksgiving and everyone loved it. Thank you for sharing!! Taking anything out of waitstaff pockets is a nasty form of robbery. If you can’t leave a 20% tip don’t eat out! Well a 20% tip is something that should be earned. Don’t have the attitude that you deserve 20% right off the bat. I agree that people shouldn’t be leaving no tip but it’s obnoxious to expect 20%, regardless of service. I tip based on service (10%- poor; 15%- average; 18%- good; 20%- excellent). Sorry this receipe is not correct….They hardly put a ton of cheese and they put this distinct seasoning on it to make it spicy but it delicious. The mac and cheese did not look like there was velveeta cheese nor heavy cream on it. I was there last week. That is because this is the old BETTER recipe. I have been a customer at Outback since I was 4 and I am now 20 and am very disappointed that they changed the recipe. It was my favorite food up until they changed it. Can’t believe the recipe is so simple! Why would they change it when it was already amazing and I’m sure way simpler than the new stuff?!?! Order the kids macaroni the new one is indeed different. But the kids Mac a roo ni is what you’re thinking of. This recipe is great. I salt the water to add a bit of flavor to the noodles. I also found the sauce was a little thick for my liking so I added a bit of milk, and it is great! Thanks for posting. Velveeta cheese? Wow, what a disappointment!! 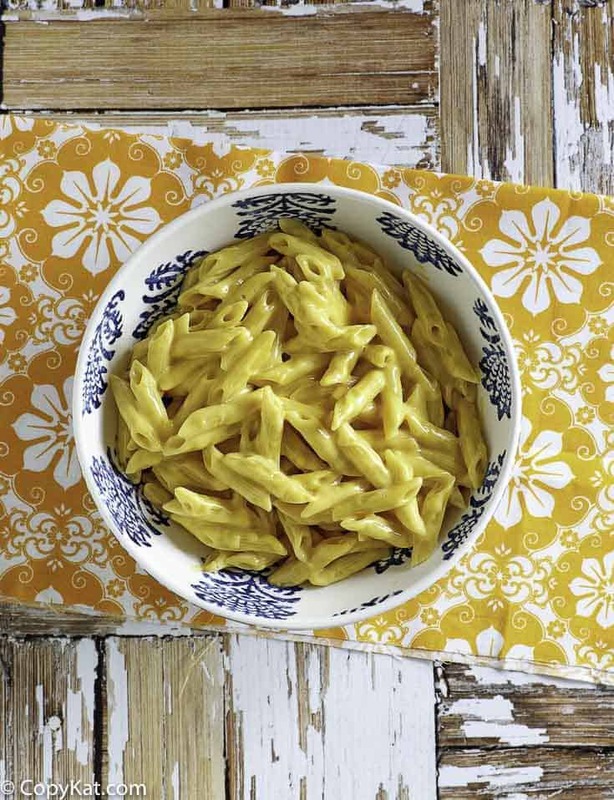 Have you tried their Macaroni and Cheese? I think everything has its place, even Velveeta.